Rich was inspired to start the Strategic Thinking Institute by a single question a manager asked him during a break at a strategic planning retreat twenty years ago: “I had my performance review and my boss said I’m too tactical. How can I become more strategic?” He realized there simply wasn’t a roadmap to help managers move from tactical to strategic. So, he created one. As the CEO of the Strategic Thinking Institute, Rich has helped more than 100,000 managers develop their strategic thinking skills through live workshops and virtual learning programs. 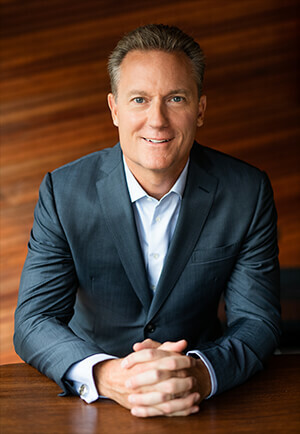 He guides executive management teams through the strategy process, and provides coaching to senior leaders to maximize their strategic potential. Rich has appeared on ABC, NBC, CBS, and FOX TV, and his work has been featured in publications such as Fast Company, Forbes, and the Harvard Business Review. He is a New York Times and Wall Street Journal bestselling author of seven books on strategic thinking including, StrategyMan vs. The Anti-Strategy Squad, which won “Best Strategy Book of 2018” (Axiom Business Book Awards). 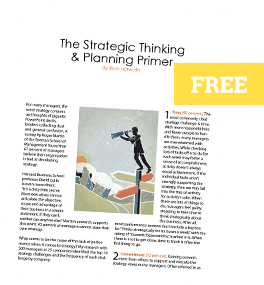 Rich has created more than 200 resources on strategic thinking in his mission to help people think strategically to set direction and create advantage.